Quick Info: Enchanting to watch the 3 High Powered L.E.D. 's Morph through a variety of fun colors. Available shapes: LIT395 (Sphere), LIT396 (Cube). 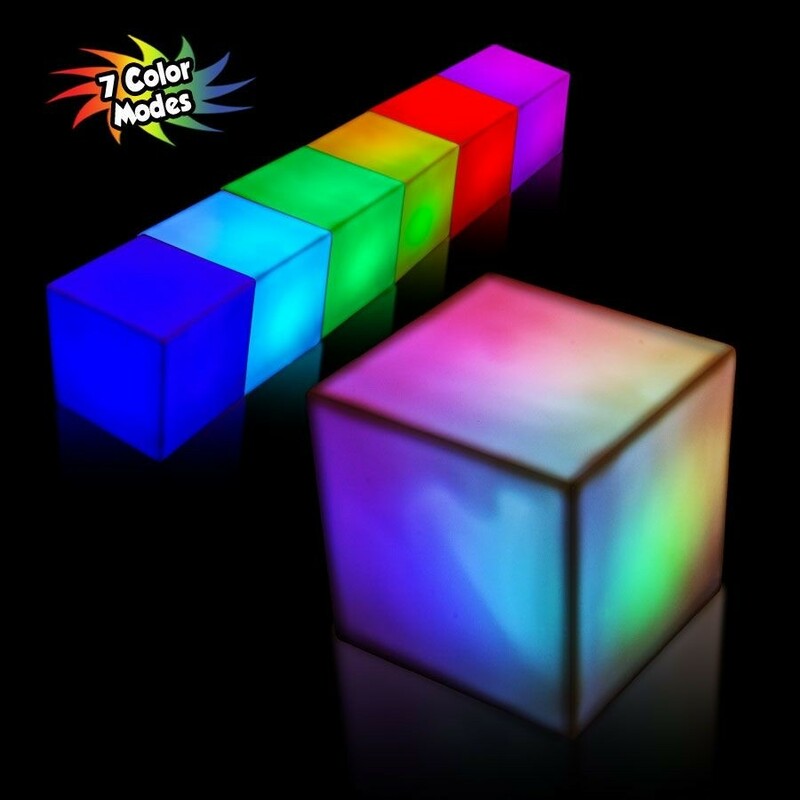 Square up something illuminating for your customers with this cube square shaped LED lighted decorative piece! This eye-catching handout is mesmerizing to watch and features three high-powered LED lights that morph through a variety of dazzling colors. These can be customized on five sides with an imprint of your company name and logo to ensure maximum exposure for your brand. 3 replaceable AG13 batteries are included and installed. A great promotional giveaway for trade shows, conventions and more, it is bound to make a lasting impression. A perfect table decoration, center piece, or a tee box marker or location marker. Beautifully packed in a retail box. Please order in increments of 1 piece.